Close your eye. Close them. Can you remember it like it was yesterday, or is everything blurred and indistinct? 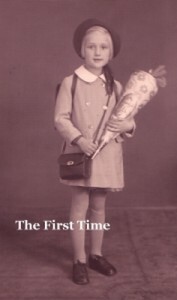 Your first day at school? Erika Hughes studied at NYU’s Tisch School of the Arts/Playwrights Horizons Theatre School and holds a Ph.D. in Theatre and Drama from the University of Wisconsin. She has over fifteen years of experience as a director, designer and performer. The jury members were Hannah Cleaver, Sabine Manke and Christian Winkler.